F. John Adams founded and led the Boston Classical Orchestra and directed the Concord Chorus from 1982 until 2001. F. John Adams enjoyed finer things: great music, fine food and wine, the company of interesting people. 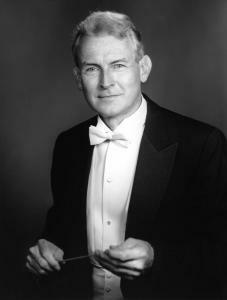 Described by family, friends, and colleagues as brilliant and inquisitive, Mr. Adams was a gifted musician and conductor, leading both orchestra and choral ensembles to new heights while passing on his accumulated knowledge and enthusiasm to students at the New England Conservatory of Music, Harvard University, and Wellesley College. “F. John,’’ as many knew him, left an indelible impression on those he touched, as evidenced by memories expressed since he died May 24 of complications of early-onset Alzheimer’s disease at the Hearthstone at New Horizons facility in Marlborough. He was 66. Born in Southampton, N.Y., Mr. Adams was trained in piano early on and quickly became proficient on that instrument, as well as the organ and the oboe, said his only sibling, younger brother Carl of New York City. “He played the organ at the church in town all through high school, and when our father died at age 48, John played at the funeral,’’ his brother recalled. He attended high school in Hastings, N.Y., and then went to Harvard University, graduating in 1966 with a degree in mathematics. He later earned advanced degrees in music at Harvard. His association with the Harvard Glee Club began during his undergraduate years. He was accompanist at first, and was director for eight years, beginning in 1970. One of his career highlights came in 1973, when the club toured and performed at the Vatican, celebrating the 10 years of Paul VI’s papacy. Mr. Adams arranged and conducted choral works for the concert, which was under the direction of conductor Leonard Bernstein. He was with the Glee Club until 1978, specializing in Renaissance music for male voices, which he researched in libraries and archives across Europe, using his ability to speak four additional languages. In the dispute over mixing genders in the all-male group, he formed the Harvard-Radcliffe Collegium Musicum, a coed group that still performs. “John had very high ethical and moral standards and didn’t bend to popular will,’’ recalled glee club member and longtime friend David Steinhaus, a Minneapolis physician. “Feminists and liberals at the time didn’t want a strictly men’s group. Princeton and Yale decided to have coed groups, but they regretted it later. Ultimately, John was right, and now there are three groups at Harvard, men’s, women’s and mixed groups. The scene is very vibrant now. Bernard Kreger of Norwell, a primary care physician at Boston Medical Center, was in the Harvard Glee Club before, during, and after Mr. Adams’s tenure. He said Mr. Adams was also resident music tutor at one of the upper-class residence houses at Harvard. “His gift in teaching was that he knew the context of the music being sung,’’ said Kreger, who is still a glee club member. “He could make a presentation for an hour on court music during the era of Louis XIV a wonderful experience. His was not a flamboyant style, but it was multidimensional,’’ he said. At the New England Conservatory, where he taught from 1983 until 2007, Mr. Adams was known as “a warm, beloved person who had a smile for everyone on campus,’’ said librarian Jean Morrow of Belmont. “The students adored him, and he often had them at his apartment for supper and afterward, they gathered around to act out Shakespeare plays. “While many [music] teachers are extremely focused on the notes, he had a great breadth of knowledge and helped open students’ eyes to the world around them,’’ she said. Mr. Adams also taught at Wellesley College from 1979 to 1988 and in 1992-93. His impact on the many performing groups with which he worked was significant. He conducted the New Bedford Symphony Orchestra for nearly two decades, ending in the late 1990s. He founded and led the Boston Classical Orchestra from 1980 to 1983, was assistant conductor of the Rhode Island Philharmonic in the early 90s, was guest performer with the Boston Symphony under Seiji Ozawa and Michael Tilson-Thomas, and led the Concord Chorus from 1982 until 2001. Katherine Torren of Acton was chief fund-raiser for the Concord Chorus under Mr. Adams and also sang. “He could conduct with those steely blue eyes, just looking over at you for a cue,’’ she recalled. Longtime collaborator Donna Roll, director and chair of the opera faculty at the Longy School of Music in Cambridge, cherished his friendship. “We lived at the same building in Boston,’’ she said. “He was a fabulous friend, and we were always there for each other. I was lucky to have known him. In addition to the music, Harvard classmate Steinhaus also shared his love of the outdoors, and they often hiked together in New Hampshire’s White Mountains and then in Colorado when he and his wife would invite Mr. Adams to their mountain cabin. “He loved to read music in the mountains, and he would take scores with him,’’ said Steinhaus. “He was all about the life of the mind. One year, he took one of the Wagner Ring Cycles and memorized it out on the back porch of our cabin. In addition to his brother, he leaves his mother, Ruth (Brockway) Adams of Plymouth. A private service has been held; a Boston area memorial service is being planned for September. Gil Bliss can be reached at gilbliss@aol.com.